The Woodlands, Texas – Celebrate the end of school and start of summer with a concert and movie! 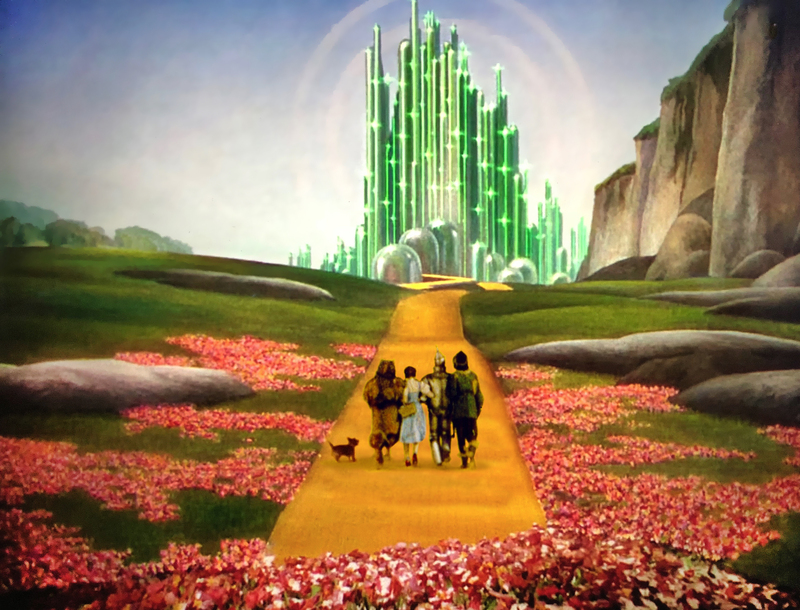 On Thursday, May 31, journey over the rainbow and down the yellow brick road with the Houston Symphony at The Wizard of Oz—Film with Live Orchestra, sponsored by Huntsman.Tickets for the 8 p.m. performance are $20 for reserved orchestra seating. Mezzanine and lawn seating are free. Gates open at 6:30 p.m. Due to the popularity of this show, attendees utilizing free seating are encouraged to arrive early to ensure entry. See one of the most beloved films of all time on the giant screens accompanied by full symphony orchestra playing entirely new transcriptions of Harold Arlen’s brilliant lost scores. Hearing Judy Garland’s original 1939 studio recordings, backed by lush, live orchestration, will transport children and adults alike. With this version of The Wizard of Oz on the big screen, moviegoers will be treated to the Oscar-winning film as it has never been seen before. To make the evening even sweeter, Fidelity Investments will be giving out free ice cream to guests (while supplies last) starting at 6:30 p.m. in the north Plaza.Other pre-performance activities include The Pavilion Partners arts & crafts booth and Instrument Petting Zoo as well as activities by Texas Children’s Hospital The Woodlands Hospital, Tommy Bahama and Woodforest National Bank. Children are also encouraged to visit the Nutty Scientists of Houston booth in the North Plaza for an exciting hands-on science experiment that involves making a mini tornado in a bottle. Families are encouraged to enhance their performing arts experience with Mini Maestros, a free and exciting program that makes the arts both fun and accessible for kids of all ages. By signing up for Mini Maestros, children will receive: a special membership lanyard and badge, free reserved seating at all performing arts events, early entry for Ice Cream Social or Hocus Pocus Pops, a free ticket to Children’s Festival and other great perks throughout the season. Families can register their children at any of The Pavilion’s performing arts events this season at a special booth located in the North Plaza or online at www.woodlandscenter.org/mini-maestros. Preferred parking is available in the on-site Town Center Garage, located along Six Pines Drive. Parking is $10 per vehicle for this and most performing arts events. Tickets for on-site parking can be purchased in advance at Ticketmaster.com and The Pavilion Box Office. Guests also may park in any of the free parking lots off of Timberloch Place the southwest side of The Pavilion.